A new study published on Aug. 16 in the journal PLoS ONE found that Batrachochytrium dendrobatidis (Bd), the fungus that causes chytridiomycosis, is indeed present in Asia, but at significantly lower levels than anywhere else in the world. In fact, researchers found that just more than two percent of the individuals they tested were positive and that the fungus was present only in the Philippines, Kyrgyzstan, Laos, Indonesia, Malaysia and South Korea. Now scientists want to know why. An international research team conducted this study between 2001 and 2009, examining more than 3,000 amphibians, most of which were frogs, from 15 Asian countries. 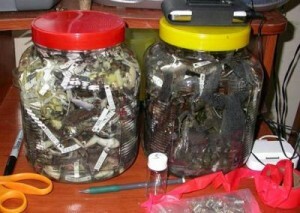 It was the first large-scale investigation of the disease conducted in Asia. 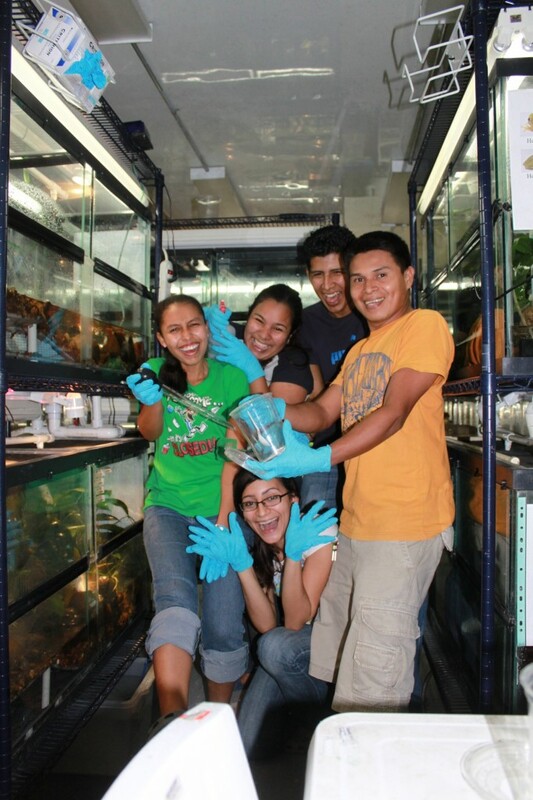 1) This was the first comprehensive survey of chytrid in Asia. Why do you think this hasn’t been done before? I think expense is probably a huge hindrance on research. Our study was conducted in 15 countries and our data was collected by a large number of field personnel. 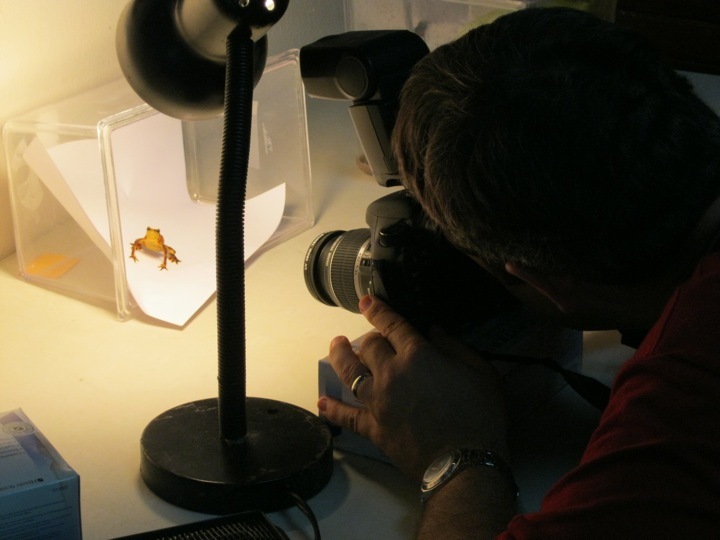 The cost of analyzing the samples is not cheap–costs range from $5 to $30 per sample, depending on where and how they are analyzed. We ran nearly 3,500 samples. 2) What do your findings mean in the battle against chytrid, and what is your next step? 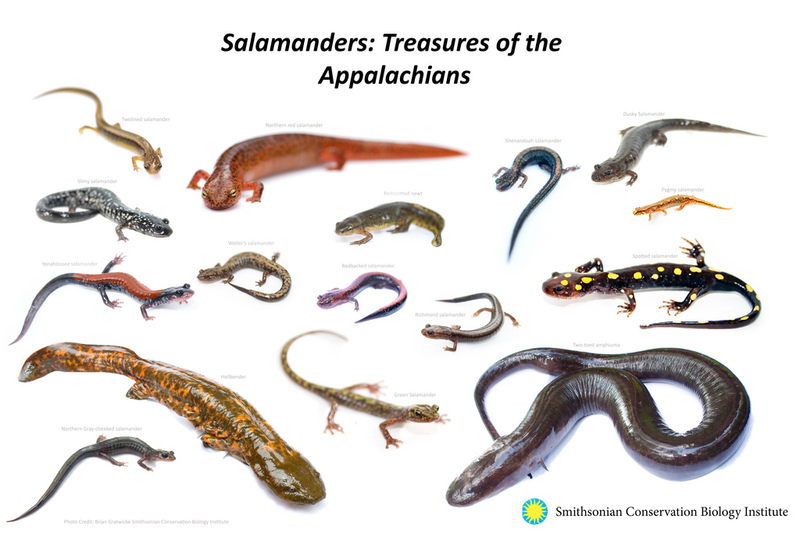 Our findings provide an important milestone because they are the first broad survey for Bd across a vast continent that harbors a large amount of amphibian diversity. Our hope is that researchers will now be able to return to many of these sites and see if the dynamics of the pathogen host system change and if so, in what direction. Our next step will be to follow up on as many sites as possible. 3) Were you surprised by the findings? Why or why not? Yes. I was surprised by how low the prevalence was across what appears to be such perfect habitat for this pathogen. 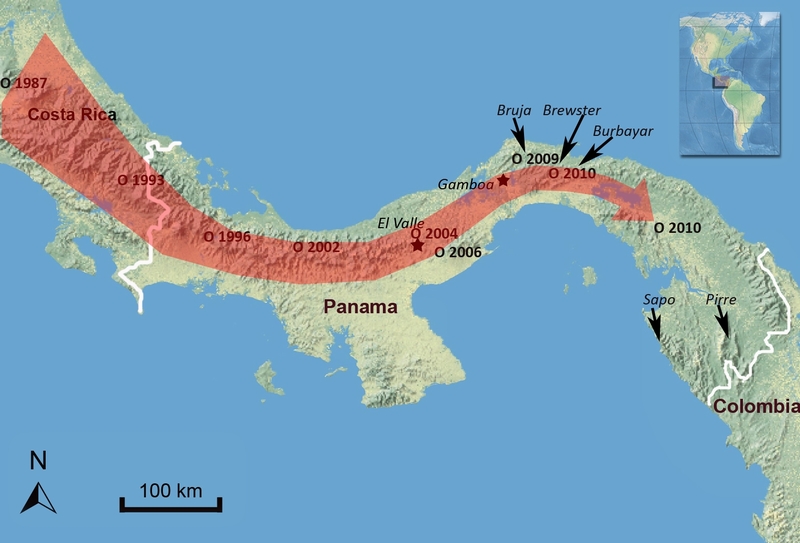 4) Why do you think that frogs in Asia aren’t being wiped out at the same rate as frogs in the neotropics? There are only a few possibilities. We describe them in detail in the discussion [in the paper], but in short, either Bd is only just emerging in Asia and thus we haven’t seen mass die-offs due to chytridiomycosis yet, or it is endemic and there are either abiotic or biotic influences holding the pathogen at bay. We still don’t have the answer to this. 5) If this outbreak in Asia is relatively recent, where did it originate on the continent? We discovered one–and only one–place out of 300 sites where an outbreak may be occurring, at a site in the Philippines. 6) The Philippines are a series of Islands. If you believe there is or is going to be an outbreak there, how did it get there and how can it spread to other places in the world? We propose that human trade is involved, specifically that farms raising American bullfrogs could be the source of Bd that could then spread to wild frogs [if some escape]. We don’t know where it originated or how it spread for sure. 7) Are there Asian amphibians other than frogs that appear to be affected by chytrid? 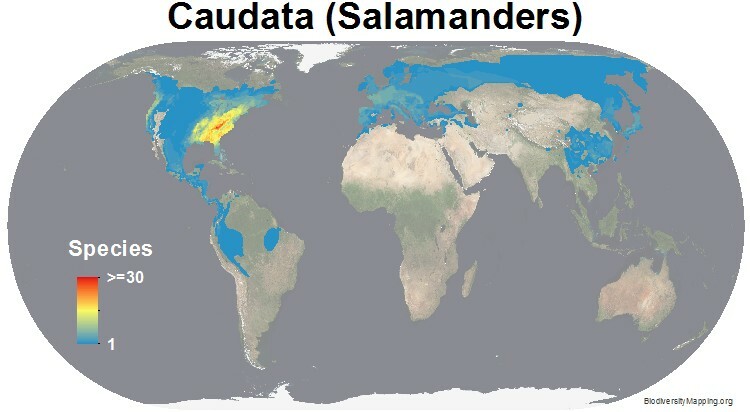 Asia has a rich fauna of both salamander and caecilians, but to date we do not know if they are affected by Bd. Our study did not sample caecilians and includes only a small number of salamanders. 8) A few amphibian species, such as bullfrogs, are said to be carriers of Bd, but rarely seem to die from it. What exactly allows a species to be a “carrier,” or is there still not enough information known about that? We don’t yet know how bullfrogs (Rana catesbeiana) are able to survive Bd infections without showing symptoms of chytridiomycosis. 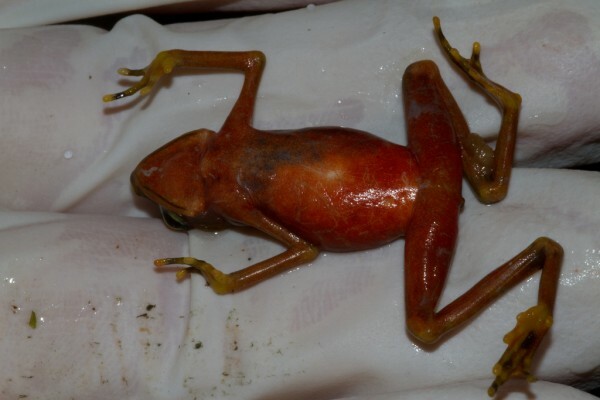 9) Do you believe that these Asian frogs that seem to be less affected may be carriers as well? We need more information to assess this. My guess is that there are probably some species that can sustain infections just like American bullfrogs and could act as carriers. 10) What other threats do frogs in Asia face and what is being done to address those threats? The two major threats in Asia are habitat destruction and hunting and gathering amphibians to eat. 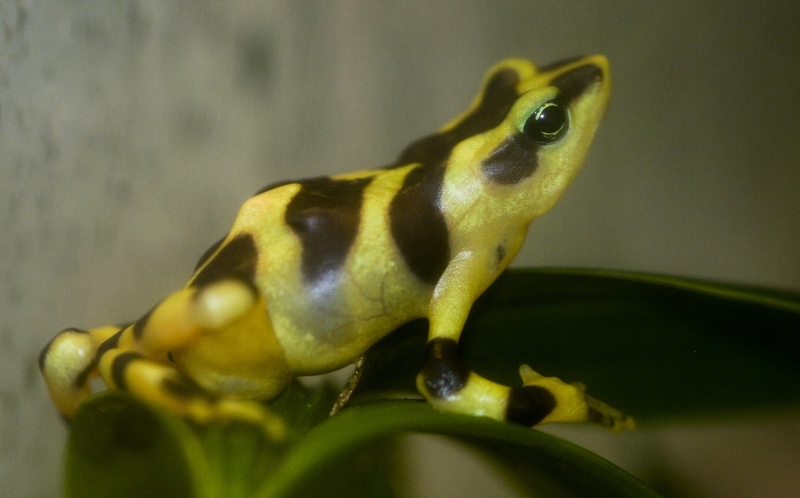 Atelopus varius is just one of many species of frog that is critically endangered. 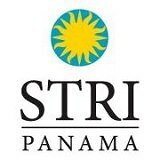 (Photo by Brian Gratwicke, Panama Amphibian Rescue and Conservation Project). Chytrid fungus is believed to have played a role in the disappearance of 94 of the 120 frog species thought to have gone extinct since 1980. But that is not the only battle frogs are facing in the fight to survive. In this case, it is not good to be the leader. A hop, skip, and a jump from Panama (well, a little farther than that), the Mantellas are fighting their own battle with potential extinction on an island off the coast of Africa. 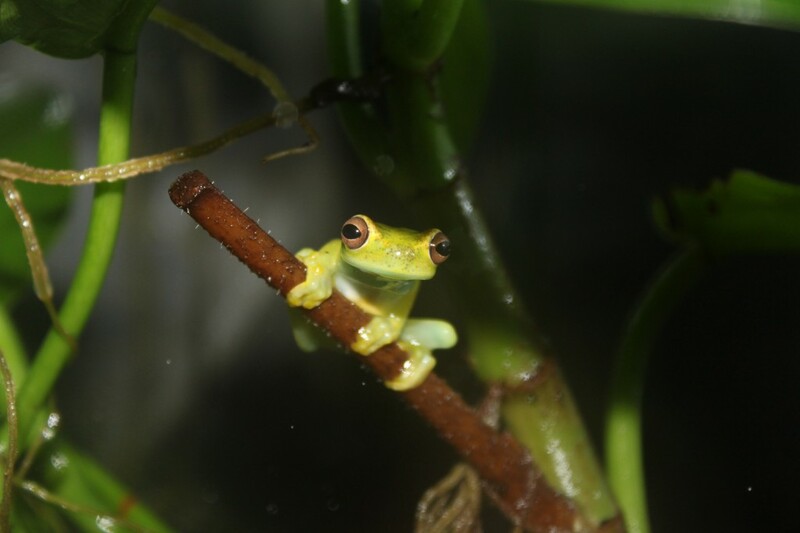 Madagascar is home to 16 species of the frogs, which are endemic to the country, but collection for pet trade and deforestation are threatening their survival. 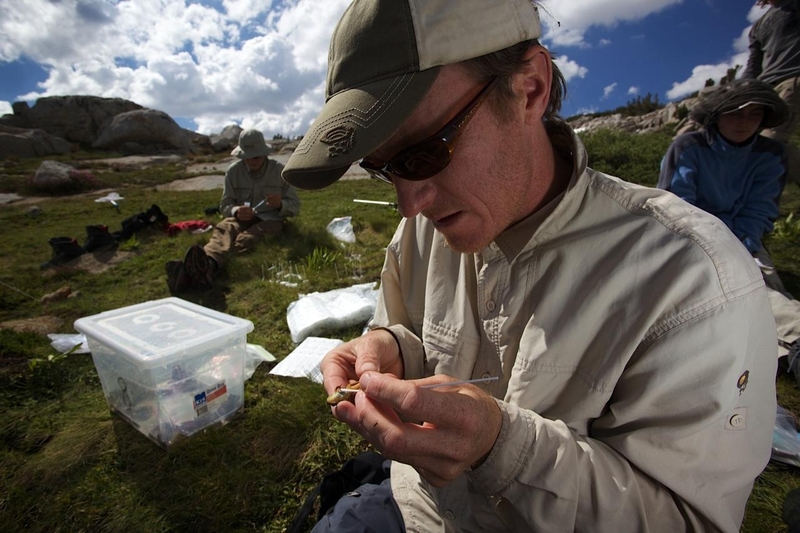 We first told you about Cheyenne Mountain Zoo’s Mantella captive breeding program last fall. 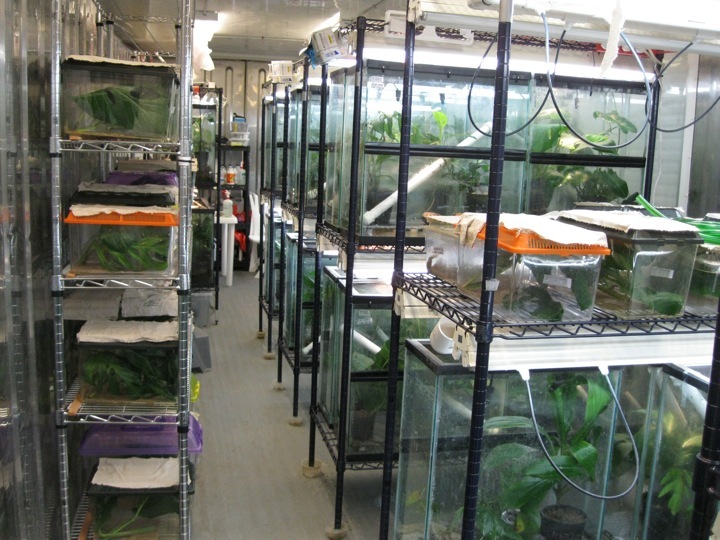 It was animal keeper Jeff Baughman’s goal to establish a breeding program for the frogs within the zoo community, and over the past year, he did just that. In a matter of weeks, Baughman’s first batch of 70 captive-bred blue-legged and black-eared Mantellas will be on the move to AZA (Association of Zoos and Aquariums) zoos around the country. People are drawn to the bright colors of the Mantella, colors that rival those of the more familiar poison dart frogs in Central and South America. However, only a handful of zoos in the U.S. have the endangered blue-legged and critically endangered black-eared species. 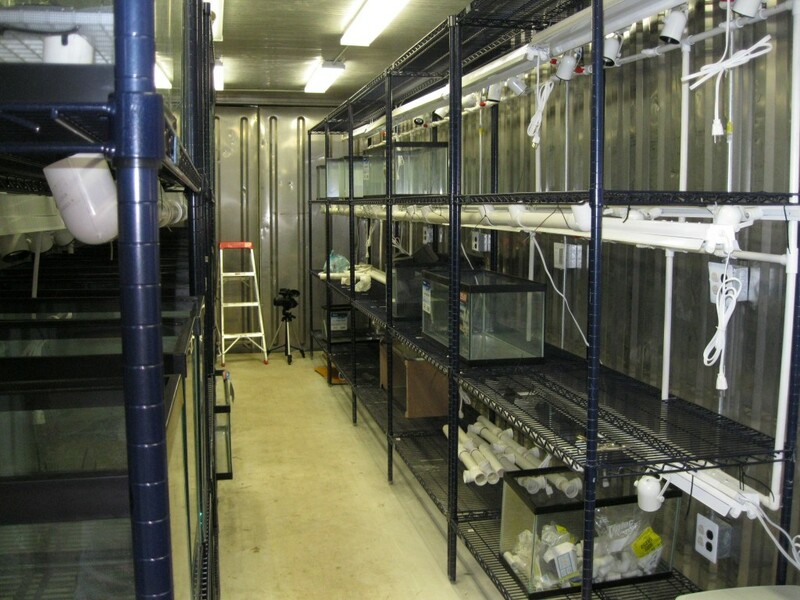 Baughman started by bringing a collection from a trusted captive breeding source to Cheyenne Mountain Zoo’s off-exhibit Amphibian Conservation Center. He then created an environment similar to Madagascar’s less humid winter months, followed by increased humidity and daylight to simulate the rainy season. The females laid their eggs in March, and the end result is about 35 blue-legged and 35 black-eared Mantellas. 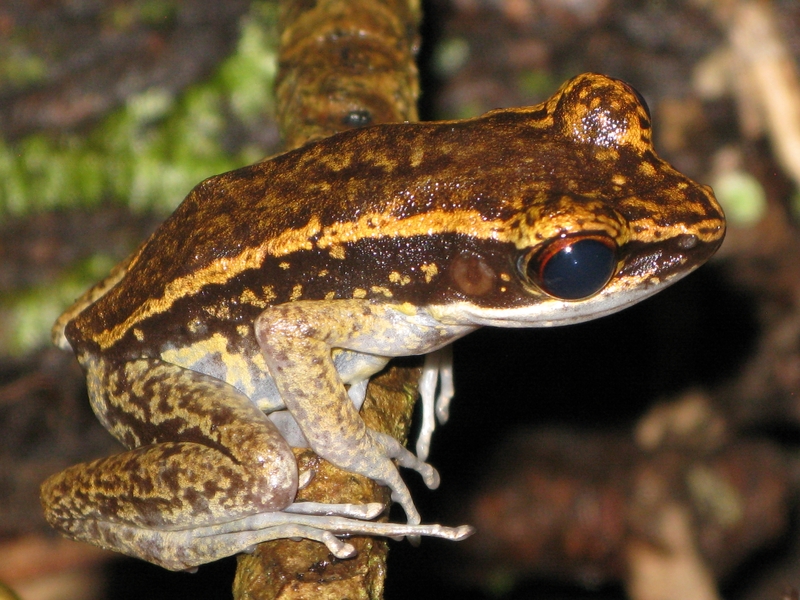 Chytrid has not yet spread to Madagascar, but if it does, the effect would be devastating. 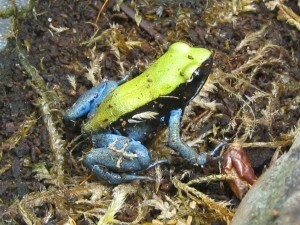 Because Mantella populations are so fragmented, they could easily be wiped out by the fungus. That’s why the Wildlife Conservation Society and other experts are looking at creating a facility in Madagascar, similar to the one in Panama. What can you do to save frogs? If you’re buying them as pets, it’s important to find out where they came from. 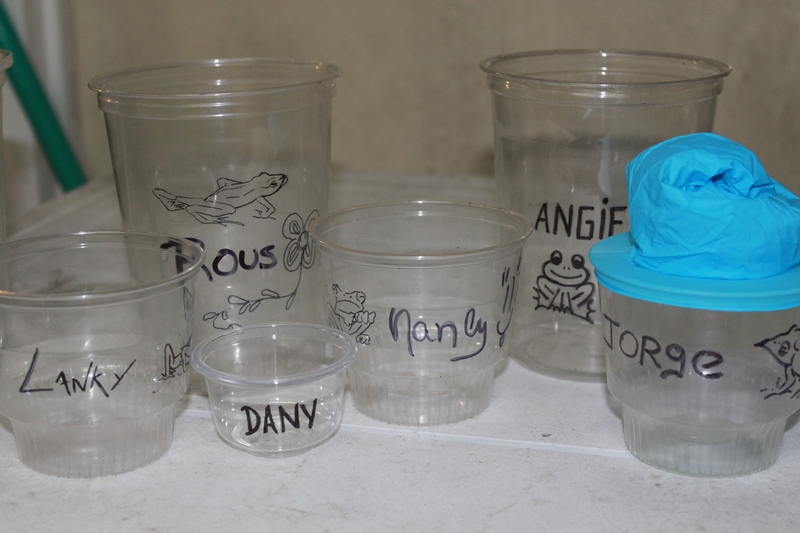 Make sure you get your frogs from a trusted captive breeding source and avoid buying frogs caught in the wild. Cheyenne Mountain Zoo guests are helping frogs, too. 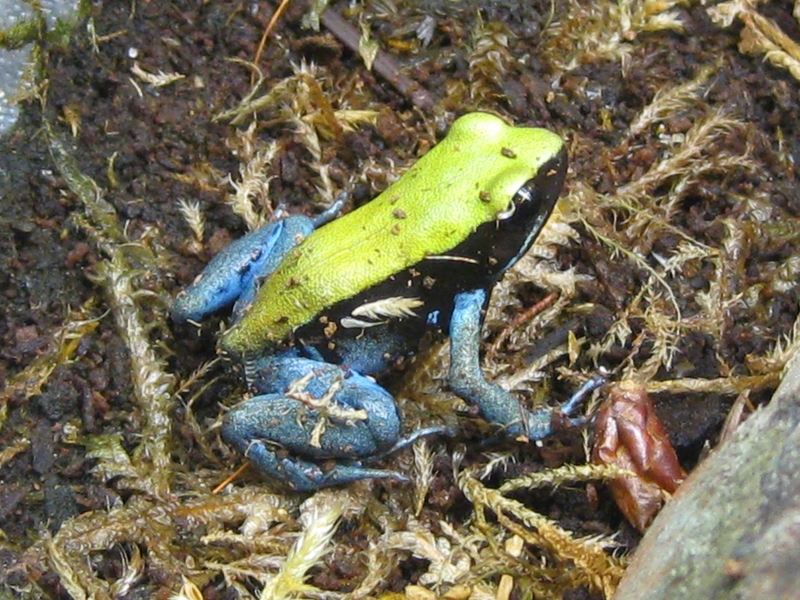 In 2008 – 2009, the zoo’s Quarters for Conservation program supported a conservation and research organization in helping protect Mantella frogs in Madagascar. With every visit this year, zoo guests can vote to provide funding to the Panama Amphibian Rescue and Conservation Project.